Ballymun Kickhams, Kilmacud Crokes, Castleknock and St. Jude's all made winning starts to their Dublin SFC campaigns today. 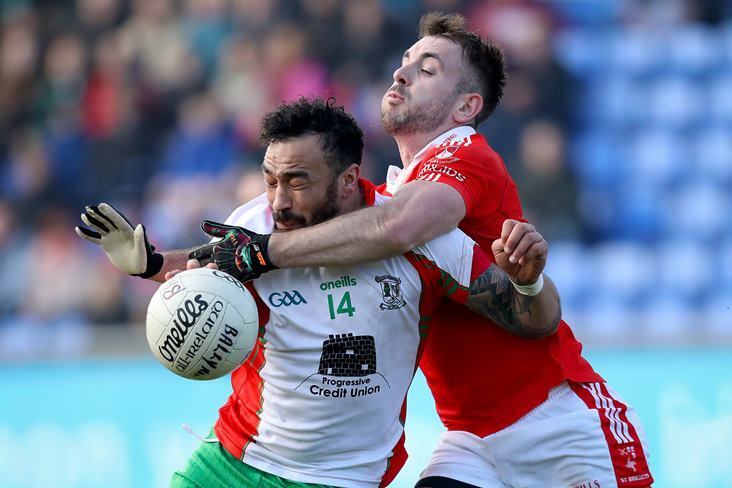 In the first part of a double-header at Parnell Park, Dean Rock shot 1-10 as Ballymun Kickhams overcame northside rivals St. Brigid's by 2-13 to 1-10. Despite being without the injured James McCarthy, Brendan Hackett's Ballymun charges were always in control and had opened up a 1-9 (1-8 from Rock) to 0-2 lead before a Philip Ryan penalty following on a foul on Paddy Andrews left Brigid's trailing by six points at the break. Substitute Conor Kavanagh netted in the second half as last year's beaten finalists went 10 points clear before the Blanchardstown men grabbed the last four points to put a better complexion on the scoresheet. In the battle of the southside heavyweights, Callum Pearson came off the bench to score a late 1-2 as Kilmacud Crokes defeated Ballyboden, St. Enda's by 3-12 to 1-11. Crokes led by 2-6 to 0-6 at half-time thanks to a brace of Shane Horan goals, but a James Madden major immediately after the restart helped Anthony Rainbow's men to reduce the gap to just two points before Pearson's 54th minute goal and two late Paul Mannion frees secured the spoils for the Robbie Brennan and Johnny Magee-managed Crokes. In the day's other double-header at O'Toole Park, Kevin McManamon's St. Jude's cruised to a 0-20 to 0-8 win over Ballinteer St. John's, while Ciaran Kilkenny's Castleknock were even more emphatic winners over Clontarf (2-19 to 0-9), with Limerick's Seamus O'Carroll accounting for their two goals.